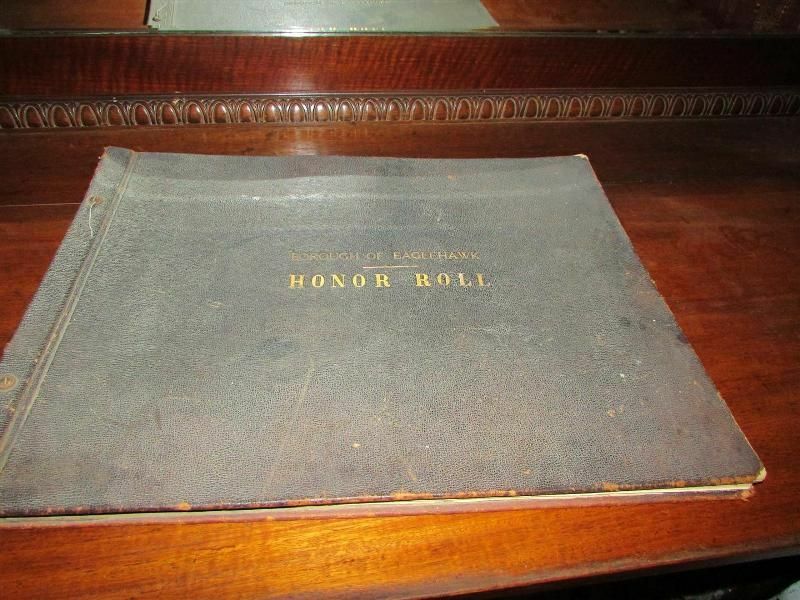 The Borough of Eaglehawk Honour Roll is in journal form and contains a draft list of names of soldiers, sailors and nurses from the district who enlisted for service in World War One. 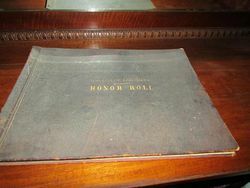 The draft list would probably have been used for the compilation of the Municipal Honour Roll. 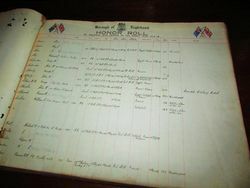 The journal contains hand written detailed entries of those who enlisted including name, address, rank, date enlisted, date embarked, place of embarkation, where served and days served. 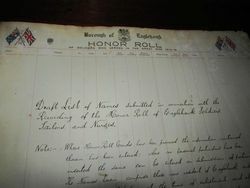 The Eaglehawk Borough Council, having decided to erect a large honor roll of soldiers from the borough who served in the war, the Mayor (Cr. J. H. Webster) desires the friends and relatives of soldiers to assist in compiling the list. It is desired that the names of the soldiers be supplied, together with particulars as to rank, etc. 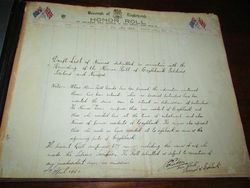 The town clerk (Mr. J. E. Curtain) has cards setting out the particulars required, and these will be supplied on application. Bendigonian (Bendigo, Vic) 12 December 1918.